Big Blue Bug Solutions has been offering professional New England pest control for 80 years. We have worked hard since 1935 to develop an unmatched reputation and are now one of the largest pest control companies in Southern New England with services right here in Norwood, MA. Our technicians are fully licensed and insured and we make sure they are up to date with all the guidelines and regulations involved in MA pest control by offering continuous training. No homeowner wants to have to deal with pests in their home. There are few feelings that compare with the feeling you get in the pit of your stomach when you notice those telltale signs of pests in your home; mouse or cockroach droppings on the countertop, holes in the wood structures of the home or sagging floors. We know that feeling not only comes from knowing what a pain in the neck those pests can be to get rid of but also the dangers that come along with them. Mouse droppings can not only contaminate surfaces and food, but once they dry, they can spread diseases and viruses simply by being breathed in. Carpenter ants and termites can cause serious structural damage to your home including the floors, walls and furniture. Other pests around your home can bite or sting, causing irritation and discomfort. When you call us, you can rest assured knowing thee problem will be taken care of professionally, quickly and effectively. Allow Big Blue Bug Solutions be your Norwood pest control team! Call us today for more information on our home pest control services. Call us today if you are finding any of these pests in your Massachusetts home. As a business, we understand how important reputation is for your long term success. With social media, the internet, word of mouth is spread faster than ever. The last thing you want as a business owner is to have a photo snapped at your business of a pest on your facility, or a post suggesting your facility is responsible for bed bug bites on someone’s child. While these scenarios may seem a bit dramatic, they are a reality for some businesses. So before pests even have the chance to strike, call Big Blue Bug Solutions to start your year round commercial pest control services and let us take the worry of pests off your shoulders. 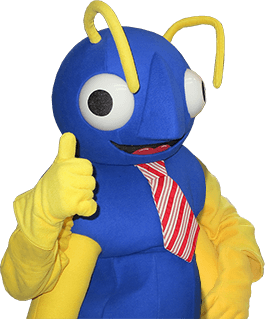 Let us be your trusted Norwood exterminators; call Big Blue Bug Solutions today to learn more!